We’re a leading multinational health business group with more than 40 years of experience providing a world of health to every patient we serve. Since the beginning of my medical career, I’ve marveled at the amazing things that can happen when healthcare organizations put patients and families first. Starting as a surgeon and then as president of Organización Sanitas Internacional (Sanitas), I’ve made that simple truth my guiding principle. I’ve seen how patients respond when the medical community is organized around proactive quality care. And the results are astonishing! At Sanitas, our doctors and staff members put themselves in the patient’s shoes—and view every medical experience through the patient’s eyes. Patients work closely with their doctors to achieve better health, not just when they were sick, but all the time. The Sanitas experience will change your expectations about healthcare. As our patient, you can expect doctors and staff members to spend as much time with you as you need, guiding you through the process toward better health. To explain your medical situation and what’s being done to improve it. Expect a focus on preventive care, so you can be in the best health ever and enjoy the quality of life you want with your family. In other words, expect health care as it should be—a world of health. 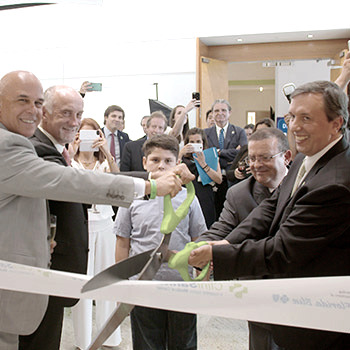 With more than 25 years of health care experience with Colombia-based Organización Sanitas Internacional (OSI), Fernando is the CEO of GuideWell Sanitas—the newly formed joint venture that owns and operates Sanitas medical centers. He’s responsible for bringing the innovative and culturally relevant Sanitas concept to the United States. 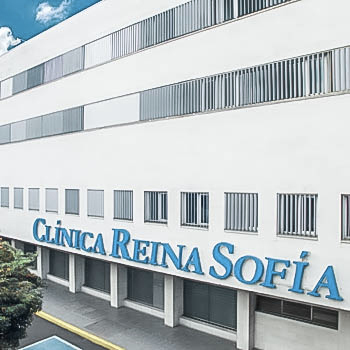 Fernando received his medical degree and General Surgery specialty training and certification from Rosario University—San José Hospital in Bogotá, Colombia. During his long career as an OSI executive, he has served as CEO of several of the organization’s business units throughout South America. Fernando has earned a successful international track record for clinical practice management; start-up of hospitals and medical centers; strategic international expansion; and building innovative health care delivery models focused on quality, cost and outcomes. He was one of the key architects in creating GuideWell Sanitas—the joint venture partnership for expansion in the United States—bringing his varied experience, leadership and team-building skills to the project, along with his focus on innovation, community-mindedness and social responsibility. Juan is a board certified internal medicine physician with broad leadership and management experience in clinic operations, medical cost, quality management and hospital medicine. Juan completed medical school in Bogota, Colombia, and his internship and residency training in Internal Medicine at Yale University—Saint Raphael Campus in New Haven, CT, where he earned several honors and awards in academic performance and research. After serving as an Acute Care Hospitalist at Philadelphia-based Cogent Healthcare, he moved to the Miami in a similar role with IPC Healthcare. His subsequent work there, included overseeing Family Practice and Internal Medicine physicians, and helping expand IPC’s footprint in the south Florida market. 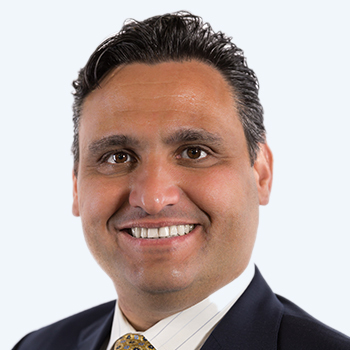 Prior to becoming the CEO of Sanitas Florida, Juan was part of the core team that started the Sanitas expansion in the United States successfully adapting its core clinical model to the needs of the Florida, Connecticut and New Jersey markets. Juan is part of a leadership team that has grown Sanitas in the U.S. to serve hundreds of thousands of patients while achieving high patient satisfaction, exceeding quality scores and lowering total cost of care. Alberto brings more than 20 years of financial and accounting experience, most of it in medical and health care related fields. He’s responsible for all financial related functions to Sanitas medical centers—including asset acquisition and management, financial projections, tax planning and compliance, budgeting and other critical functions. Alberto earned his Bachelor of Science degree in Business Administration from Miami, FL International University in Miami and his Master of Business Administration degree in Accounting/Human Resources degree from DeVry University in Chicago, IL. His broad financial management experience in the medical field includes significant successes in a managed care company specializing in Medicare and Medicaid recipients; a medical device manufacturer; a national blood plasma distribution company; and a subsidiary of Johnson & Johnson that manufactures implants. Alberto is an expert in financial management and reporting, cost accounting, financial modeling and forecasting, strategic planning, cash management and other areas that will help Sanitas medical centers thrive. As Vice President of Healthcare Services, Carlos has unique medical and management experience. He’s an expert in designing and managing healthcare programs to educate patients and help them manage their conditions for a better quality of life. Carlos is responsible for all facets of the company’s clinical operations including the expansion of new locations as well as the design, development and implementation of clinical guidelines to ensure safety, quality and efficiency objectives are incorporated into the clinical workflow and patient experience. 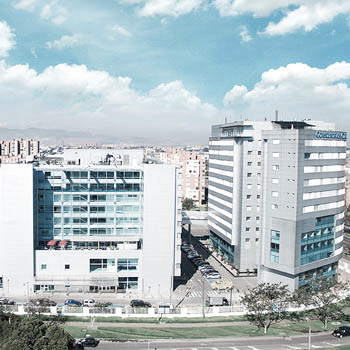 Before joining Sanitas Medical Centers in the US, Carlos served as general manager for the Sanitas division of Organización Sanitas Internacional, in Colombia. In his earlier role he was responsible for building and managing outpatient medical clinics that serve adults and children. He also created successful healthcare programs to teach patients how to avoid chronic illnesses and how to manage ongoing health conditions. Carlos completed his medical and surgical training at Javeriana University of Bogotá and was trained in Clinical Epidemiology at Bogotá Health Studies Center (CES) and Libre University of Cali. He also holds an MBA and a degree in Health Services Quality Management. As the regional medical director for Sanitas, Raul serves as the clinical leader for the organization. He’s responsible for recruiting and developing a high performing team of physicians and clinicians across the entire Sanitas network in the United States. In addition, he works closely with the leadership team to implement strategies that enhance patient care including quality assurance, protocol and care guidelines development, cost management and patient engagement. 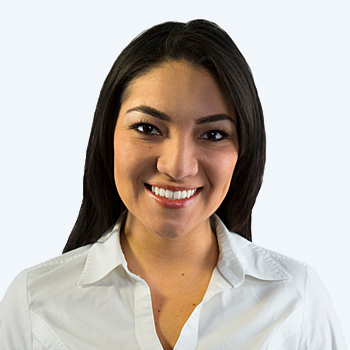 Lina is responsible for Sanitas’ operations at a national level. In addition, to managing day-to-day operations, Lina designs and implements innovative strategies and action plans to improve the quality of patient care and serve the community where the medical centers are located. Lina completed her Masters degree in Business Administration with a Management concentration from the University of Miami, FL and became an Associate Director of Physician Services for Jackson Health System. Her career has also included hospital-based assignments as a practice manager, office supervisor and billing liaison. Rodrigo is responsible for management of our current and future network of medical centers in the U.S. North East region. In his role he is accountable for all aspects of operations, managing medical support staff and cross-functional teams and relationships with key stakeholders. Rodrigo has more than 20 years of experience in operations and management, including 10+ years focused on the health care industry. Prior to joining Sanitas, Rodrigo was the Director of Operations for Union Health center in New York. Rodrigo completed his MBA in Executive Healthcare Management at the Fairleigh Dickinson University in Madison, New Jersey. He also holds a Bachelors in Business Administration from the Universidad Viña del Mar in Viña del Mar, Chile. As the Director of Information Technology for Sanitas in the United States, Henry provides leadership for the continued development of an innovative, robust, and secure information technology environment for the organization. In his role, Henry also is responsible for creating a secure environment and to further develop data integration between Sanitas and other health care organizations including insurance companies and health systems. Ultimately, facilitating instant and secure access to patients records that will dramatically improve patient care. We started in Colombia as an insurance company bringing innovative products for both private and public markets. Later in the 1990s, we developed a robust infrastructure of hospitals, medical centers, lab, dental and vision centers to improve access to care for our members. We have strived to provide outstanding and compassionate care and service, every step along the way. Beyond modern facilities, we believe in creating places that have life…that have a soul…and that are closer to our patients. Providing health care that’s personalized and not indifferent…health care that’s kind and treats patients with dignity, and health care with the highest quality standards. After successfully growing and perfecting our health care model in Colombia, we started an expansion plan that led us to begin operations in Venezuela, Peru, Brazil and Mexico. We proudly serve close to 3 million members and patients and have operations in more than 800 cities. We also believe in developing and nurturing the next generation of health care professionals, a reason why we founded our own university. Focused on the health and well being of our members and communities, we continue to elevate the state of healthcare in the countries where we have presence through technological, social and organizational innovation while generating employment, wealth and quality of life. To provide the highest quality of care and improve the health and well-being of the diverse communities we serve. To become the leading brand for high quality, comprehensive and culturally relevant medical care in the communities we serve, through convenience, compassion and programs centered on patients and their families. We treat everyone with dignity in the diverse communities we serve—including patients, families and stakeholders. We maintain the highest standards of professionalism, ethics, personal responsibility and trust at all times. We deliver the best outcomes and highest standards of quality for every patient through the dedicated effort of every team member. We grow and strengthen the organization by encouraging learning, creativity and problem solving, and by infusing the culture with a sense of collaboration and mutual support. We work to exceed our patients’ and families’ expectations for a total care experience by treating them with sensitivity and empathy while providing the highest quality medical care. We are part of our community, with a strong sense of mutual collaboration and support, and with a special regard for every individual. Sanitas, a leading multinational health business group In the U.S., Colombia, Venezuela, Peru, Brazil and Mexico, now has a new presence in Union City. Belleville is home to a new multiservice Sanitas Medical Center. The center is the second of three new facilities expected to be opened in New Jersey resulting from phase one of the collaboration between Sanitas and Horizon Blue Cross Blue Shield of New Jersey (Horizon). New Sanitas Medical Centers, known for their innovative and culturally relevant primary care model, are opening throughout the state of New Jersey. In total, three centers are slotted for opening in early 2018. The relationship between Colombia-based Sanitas Medical Center and Horizon Blue Cross Blue Shield of New Jersey is far more integrated than a simple volume-oriented partnership. Multinational health business group Sanitas, in collaboration with Horizon Blue Cross Blue Shield New Jersey, plans to open a network of medical centres in New Jersey as part of its strategy to capture the Hispanic customers.